The Nike Flyknit Air Force 1, shown for the first time here, is one of those sneaker designs that was inevitable. Nike has so far been hesitant to bring the Flyknit technology onto retro silhouettes, but it looks like all that will change with the introduction of this pair. The sneaker uses what appears to be a completely knit upper and has a strap around the collar that's thinner than the one found on standard Air Force 1s. 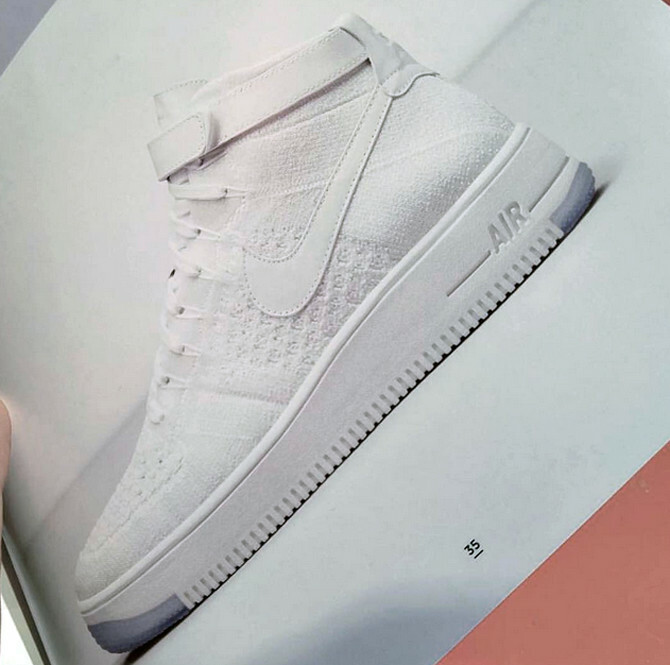 There is no sneaker release date information yet for the Flyknit Air Force 1.